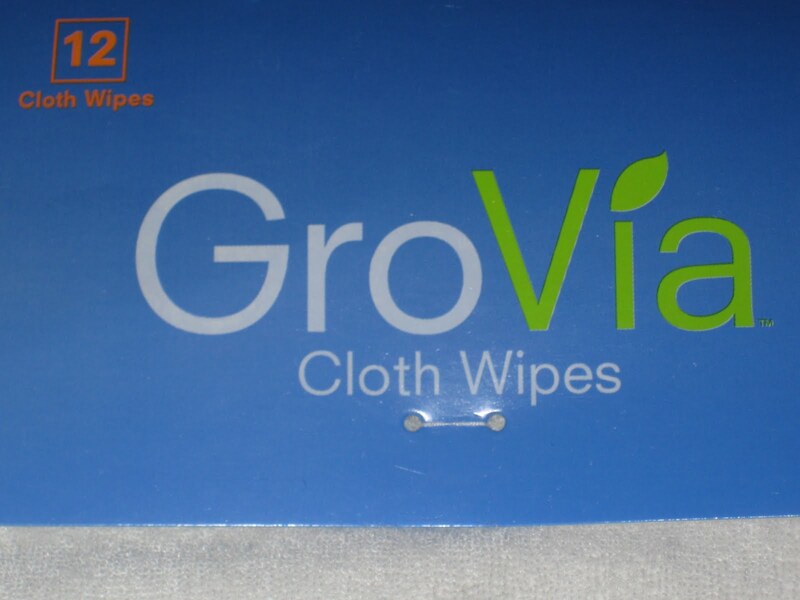 GroVia cloth wipes come in white only, and a 12-pack sells for $10.95 (MSRP.) At less than 92 cents per wipe, I figured they were worth a try! P.S. 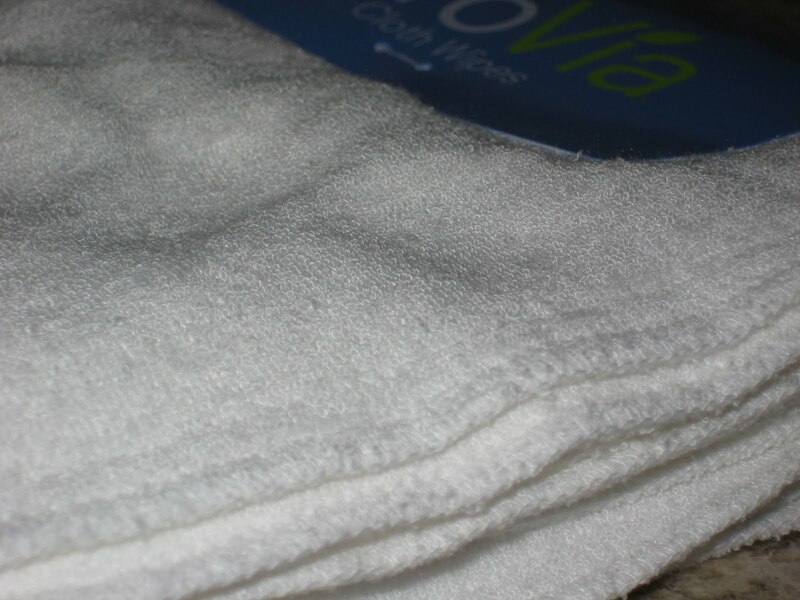 Stay tuned for another cloth wipe review/giveaway on September 6th, as well as a post on The Village of Moms about using cloth wipes! 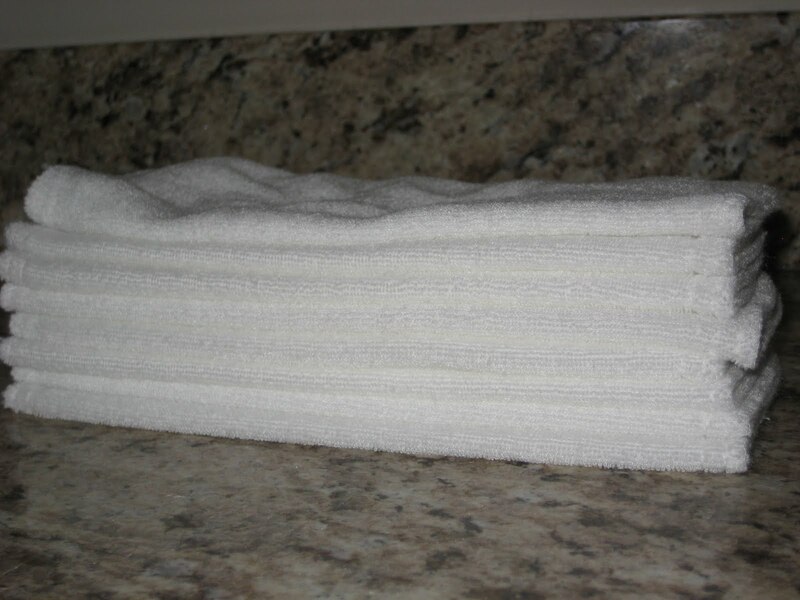 The wipes are 100% cotton and measure 8×8, which is perfect for folding and putting in a wipes case or warmer. They are 2 layers thick, soft and squishy. 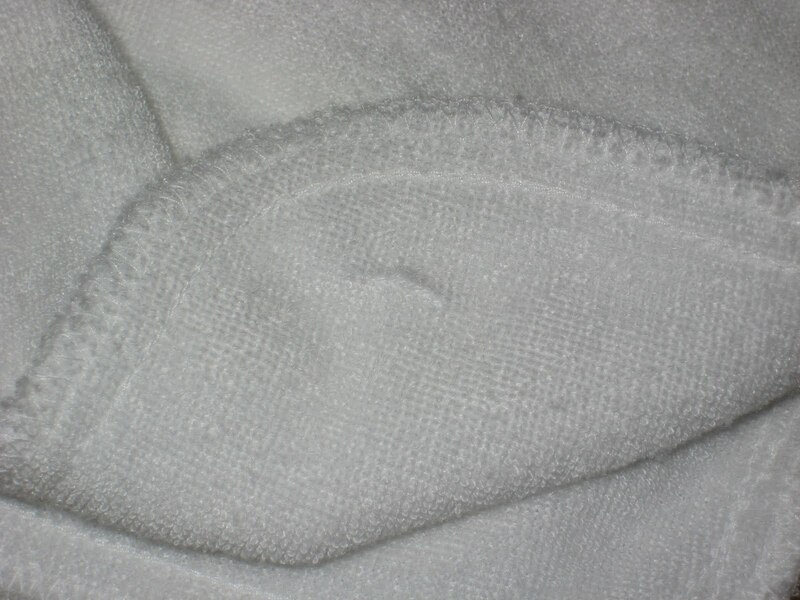 They have held up to use wonderfully, but I was definitely disappointed initially, after the first washing. 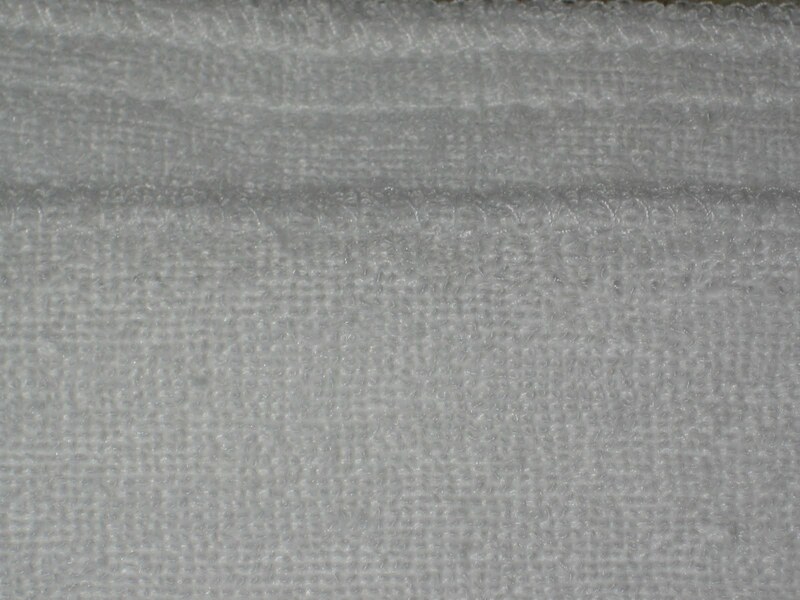 There are two rows of stitching around the border of the wipes, and the inner row came loose in most of the wipes. I don’t know if they are purposely designed this way? I suppose it’s possible. I also ended up with quite a few pulled threads within the wipes, which was entirely my fault. 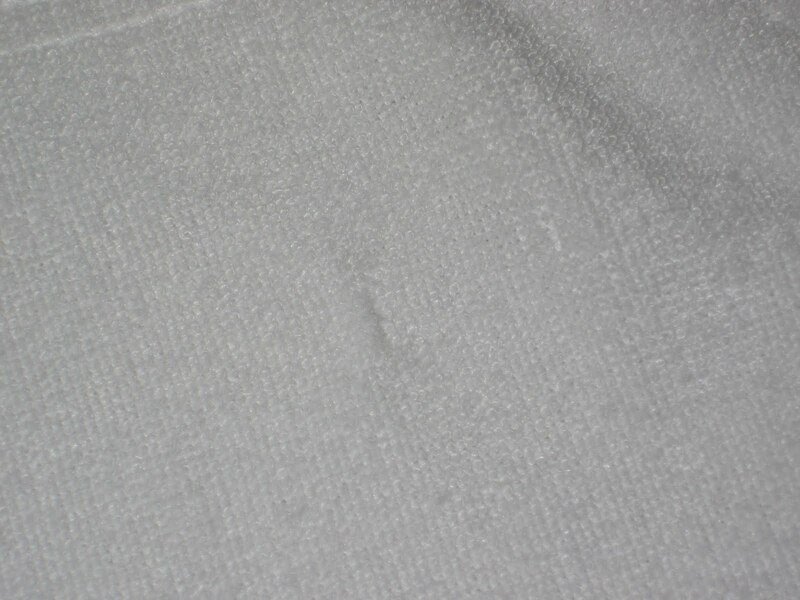 The tag was sewn into the wipes (can’t stand that on clothing too!) and I yanked it instead of cutting. Oops! 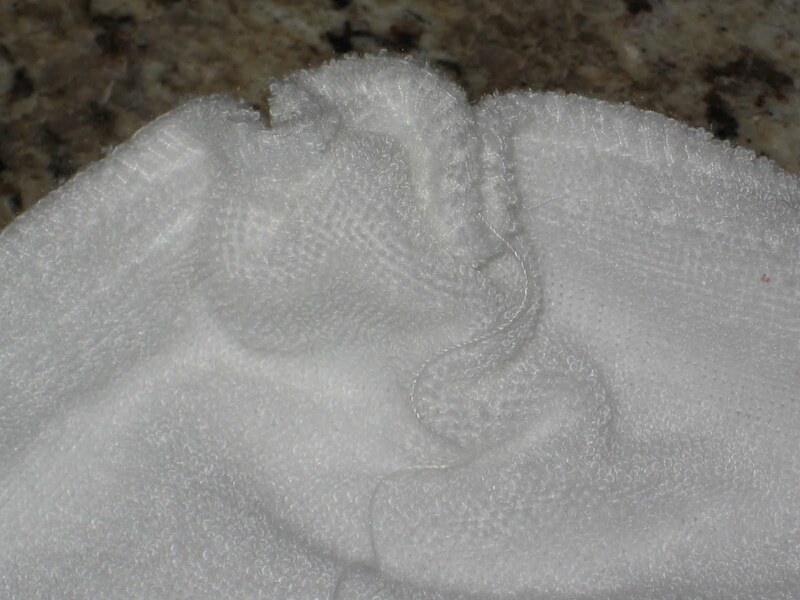 The wipes still measure about 8×8 after washing on hot and drying on high. They’re nice and fluffy stacked up! They stack nicely with my other wipes too! I’ve been using them for a few weeks now and they’ve worked great and washed up nicely with no stains! I have another set of 12 wipes, new in their package for one winner! Here’s how to enter: All entries go in the form below. Entries left in the comments won’t be counted. This is new and if the majority of users don’t like it, we’ll go back to the old way. I like the form, because it’s easy and fast, especially with multiple entry methods. Your email addresses are kept more private, since only I will see them, and I do not share them with anyone. Mandatory entry: Enter your name and email address in the form and submit! Bonus entry: Submit a question for “Mailbox Mondays” to maria at change-diapers dot com. Once you’ve done that, you may check the box for the optional entry on the form. Stephanie, Kelly, Ash and Pamela have already submitted their question and may check the box! Please note: My intent is to get a queue of questions for the next several months, so it may be some time before your submission is posted. If you would like me to email my response so you don’t have to wait until your question is posted, let me know! Feel free to leave any comments you like on the blog post, just remember they won’t be counted as entries! Leaving a comment can also serve as a reminder to yourself that you’ve already entered. If you’re ever not sure if you entered, just shoot me an email and I’ll check for you. I will also be updating this post regularly with the # of entries received for those of you who like to know your odds! I’ll accept entries until Tuesday, August 31st, 2010 at 9:00 P.M. Eastern. I’ll select a winner with random.org’s true random number generator and notify him/her by email. The winner has 48 hours to claim his/her prize before it is forfeited and a new winner chosen. This giveaway is open to residents of the U.S. only. View my giveaway rules page for all details. I did not receive any compensation for this post, it is entirely self sponsored, and all opinions are my own. Please note: This giveaway is not affiliated with nor sponsored, approved or endorsed by GroVia. >Thanks for an easy entry! >Love the form also! I will be back to enter more of your giveaways now! >I really like this form – so easy! >I like the form too! So fast and easy! >Love the new form. Once I get a larger following I'd love to switch to that. >i agree… i love it! >I agree on the ease of entry! Love it! >I also love the form and am getting tired of giveaways with 28,000 ways to enter, so thank you! >I like the ease of this contest so far. I'm interested to see how everyone else likes it! >Love the form! So easy!